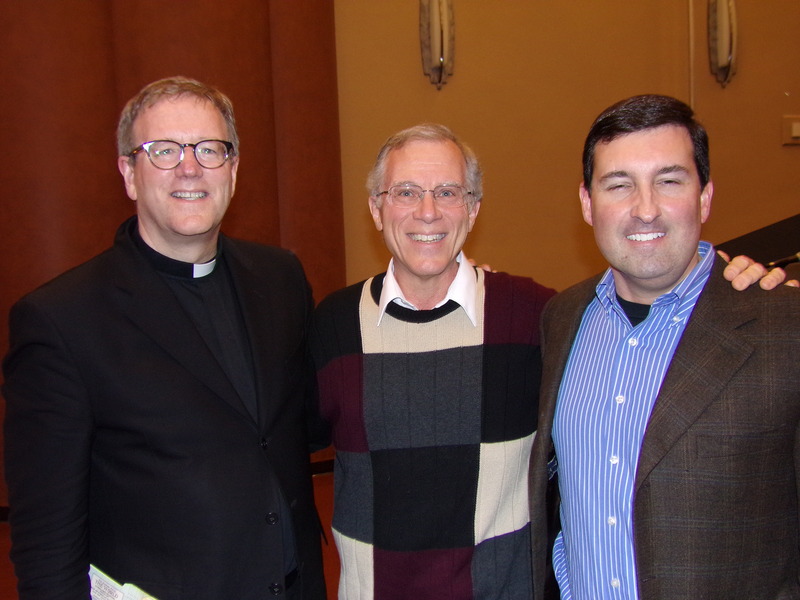 The comments made on Michael Mercer’s April 24 blog about the Catholic and Protestant wars of the last five hundred years – “Memo to Tim Challies: The War is Over” – allow a person to encounter a number of all-too-common responses to Catholic-Protestant disagreements. Some of the comments at this blog were astute and thoughtful. A few revealed raw prejudice. Most simply revealed various forms of what I would call an all-too-common ignorance. Some of this ignorance, such as what we can see in the original blog written by Tim Challies, is egregious. Tim Challies has recently gone from bad to much worse in his spirited and unpleasant post against Lectio Divina. Read Mark Moore’s fine comments for a thoughtful evangelical writer’s response to the Lectio Divina discussion. Most of the comments made on these several sites about the pope and Catholicism are quite innocent. There is a particular kind of innocent ignorance that is common on both sides, at least among everyday Christians. The more egregious kinds of ignorance are far less tolerable. These variety of posts quite often come from popular writers and polemicists. They occur on both sides. The less egregious “common” ignorance is often reinforced by these Internet interactions. You can see this in the comments I received on my earlier blogs in this series. Both Catholic and Protestant polemicists pour out an abundance of new work on television, radio and (now) through an interesting variety of Internet programs. I have only searched in this particular area for less than two hours over the last few weeks. I am amazed at how many sites there are – sites hosted by former Protestants, by former Catholics and by people who are just sick of both sides. Now the Orthodox are getting into this Internet exchange. I have heard a number of Catholic apologists, almost all converts from very conservative backgrounds (e.g. Assemblies of God, LCMS, SBC, PCA, etc. ), pick apart the “weakest” links in the evangelical chaos of the present moment. I often agree with their major points in these critiques. In fact, if what they say about my church family was all that I saw in the non-Catholic world then I would join them in a moment. But there is one large exception to my genuine praise. These sites, and some of these authors, are generally doing what all such apologists do well – taking the most obvious and emotive issues and boring down into them with compelling logic against the doctrinal positions of their opponents. In this case the opponent is Protestant Christianity. But here is the problem. The examples they use are clearly weak thus they are fairly easy to pick off in simplistic debates, especially when you are debating in monologue. These programs often come across as emotional appeals with a weak treatment of the truly substantive issues that remain serious barriers for well-taught Protestants. I urge Catholic apologetical writers and readers to stop majoring on what is wrong with evangelicals and follow Fr. Barron’s leadership. He clearly knows how to reach the head and the heart and to give Catholics good reasons for their faith and practice. I respect him, disagree with him on some points, and speak with him in obvious love. He does the same. One never gets the feeling that either of us is trying to batter, or better, the other. And there are no misrepresentations. We defer to one another in love and let the opposite dialogue partner state what they believe and why. We take no prisoners and Christ, I believe, is wonderfully honored. Fr. Barron’s incredible ministry blows me away. If ever there was a brother/friend who could convince me of the need to be a Catholic it would be this fine man. Yet I remain deeply committed to my faith and practice as an evangelical Protestant. But I have learned so much from Fr. Barron. I hope he has learned something from me but I honestly doubt it. If you want to see what I mean about his ministry then visit Word on Fire and check him out. Catholic or Protestant you will be impressed if you are a historic, confessional, Bible-informed Christian. His ten-part video series, Catholicism, is the best such teaching I’ve ever seen. I would say, without precise memory, that I agreed with about 85%-plus of the content. If every Catholic in America saw this series and believed what Fr. Barron teaches I would be pleased beyond words. I think we would very likely see a spiritual awakening inside the American Catholic Church. I earnestly urge you to pray that your Catholic friends will watch these videos. In fact, watch the first three videos yourself even if you are not Catholic. You will get a better grasp of historic, confessional Christianity, something that we all need to better understand in the midst of a Christian meltdown in the wider culture. 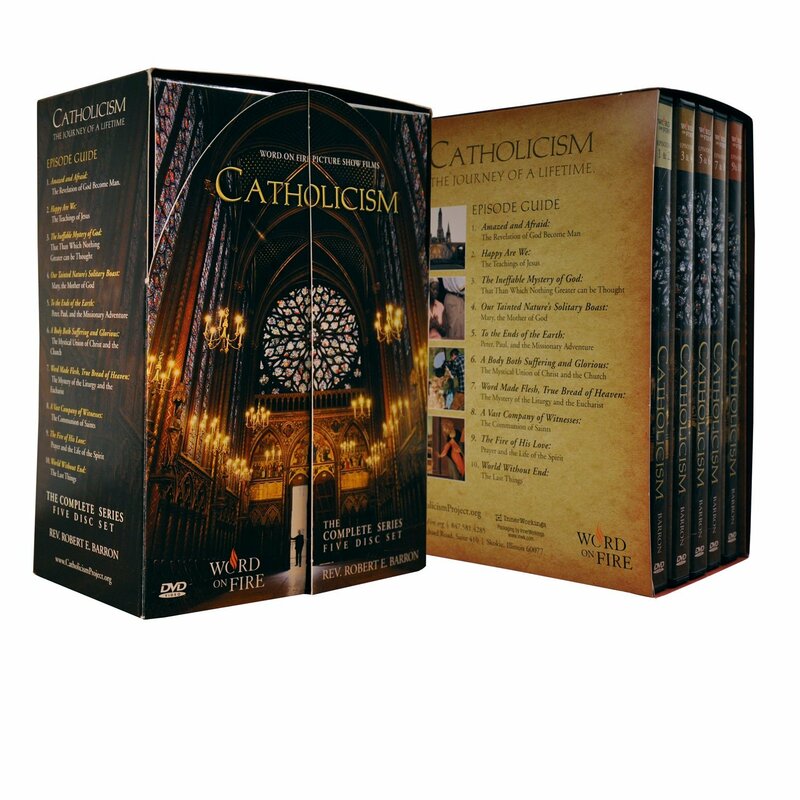 If you come from a Catholic family then buy the set and watch them first. Then share them with your family and talk about them openly. You will all be better for the effort. I read the companion book to Barron’s video series and highly recommend it. (Haven’t watched the videos, just read the book). I have read a dozen or so books on Catholicism since a friend of mine converted and it was very helpful in clearing out misconceptions. John is the 90 minutes dialogue you did at Moody available on the Internet? I would love to listen to it. It is not available, sadly. Thanks John. I am witnessing a dialogue (not so much a debate) between a Protestant and Catholic on the role of Scripture and tradition. The problem I see is both of them are so steeped within their own perspectives, it seems like they have no room to learn from the other much less have a view that grows and develop. Even in this kind of dialogue, we need to do better. The Moody dialogue was not recorded. That was part of the way it was done, sadly. Norm Waligora liked this on Facebook. There will be more bloody, I mean moody, dialogue to come. Dan Brennan liked this on Facebook. John, I personally LOVE Fr. Barron and Ancient Faith Radio. Both are necessities in my Christian experience; both have introduced me to stuff that I would have otherwise avoided or been ignorant of without them. Bravo!